Home » Newsletter Archive » 2015 Newsletters » 2015 Holiday Catalog, Giving Tree, First Friday, and More! 2015 Holiday Catalog, Giving Tree, First Friday, and More! December 4 is First Friday! It's also the Holiday Gala in Multnomah Village. Tree lighting, carriage rides, and more! For your browsing pleasure, we'll be serving wine. Plus, we'll be giving away great prizes for our adult and children's drawings. Drop by Annie Bloom's anytime after 6:00 on Friday night and register to win! You are invited to stop by the store to make a donation today! The Holiday Catalog is here! Also, read about our Giving Tree children's book drive. Check out the latest titles in Cooking. And drop by and see on First Friday! 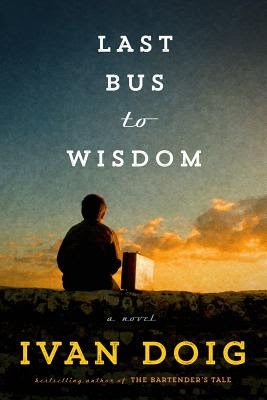 In the final novel from a great American storyteller, eleven-year-old Donal Cameron is shipped off to live with his tyrannical Aunt Kate in faraway Manitowoc, Wisconsin. She henpecks her good-natured husband, Herman the German, and Donal can't seem to get on her good side either. When Donal is shipped back to Montana, Herman the German flies the coop with him. The pair light out for the territory together, meeting a classic Doigian ensemble of characters and having rollicking misadventures along the way. 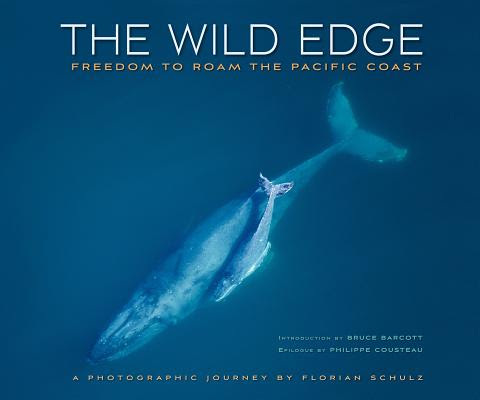 The Wild Edge: Freedom to Roam the Pacific Coast reveals the great Pacific seam of North America that knits together land and sea, ocean and continent in a tumble of interrelated life. From the Baja peninsula through the coves and breaks of California and the bays and inlets of the Pacific Northwest, to the deep forests of British Columbia and the icy realm of polar bears in the Beaufort Sea of Alaska, the west coast of North America provides a life-sustaining corridor of great energy. Here, life and landscape are interconnected in complex and intriguing ways. Widowed seventy-eight-year-old Harriet Chance impulsively sets sail on an ill-conceived Alaskan cruise that her late husband had planned. 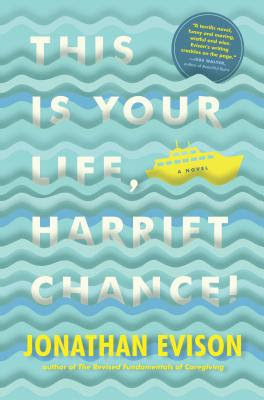 But what she hoped would be a voyage leading to a new lease on life becomes a surprising and revelatory journey into Harriet's past. There, amid the overwhelming buffets and the incessant lounge singers, between the imagined appearances of her late husband and the very real arrival of her estranged daughter midway through the cruise, Harriet is forced to take a long look back, confronting the truth about pivotal events that changed the course of her life. Old Keb Wisting is somewhere around ninety-five years old and in constant pain and thinks he wants to die. He's the last living canoe carver in the village of Jinkaat, in Southeast Alaska. When his grandson, James, a promising basketball player, ruins his leg in a logging accident and tells his grandpa that he has nothing left to live for, Old Keb comes alive and finishes his last canoe, with help from his grandson. Together (with a few friends and a crazy but likable dog named Steve) they embark on a great canoe journey. 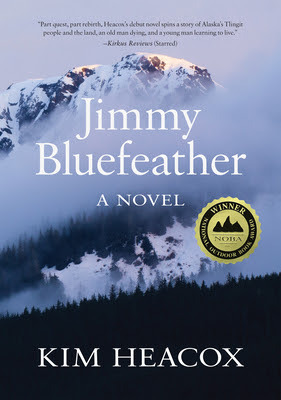 They paddle deep into wild Alaska, but mostly into the human heart, in a story of adventure, love, and reconciliation. 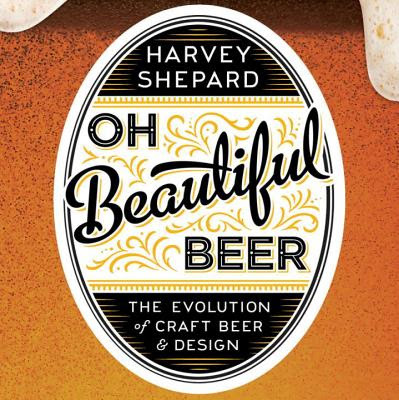 Based on the hugely popular blog, Oh Beautiful Beer collects the most innovative new labels and logos into a sumptuous full-color book. Each brewery is selected by graphic designer Harvey Shepard, who uses the designs to create a visual history of craft beer. From the Gonzo cartoons of Flying Dog to the playful geometric patterns of Evil Twin to the classic Brooklyn "B," every beer geek will want to own this love letter to the art of beer. Traveling from her rural homestead in Montana to drive her nearly 100-year-old mother to the family's beach house on Lake Michigan, Smith often gets lost in memory and rambling contemplation. 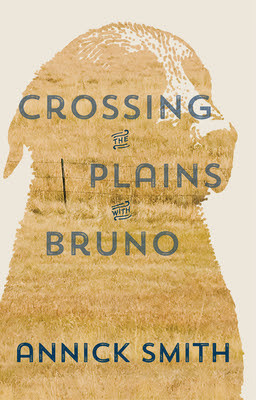 The constant companionship and ever present needs of Bruno, her chocolate lab, force her to return to the actual, reminding her that she, too, is an animal whose existence depends on being alert to the scents, sights, hungers, and emotions of the moment. Triggered by random encounters along the way, she's taken back to life as a young mother, her career as a writer and filmmaker who produced the classic "A River Runs Through It," the death of her husband, and the thrill of a late romance. A lifetime of reflection is played out one mile at a time. Everything you need to know about the taco, this cookbook includes 100 authentic recipes adapted from the Mexican best-seller, from fillings and tortillas to salsas and sauces. 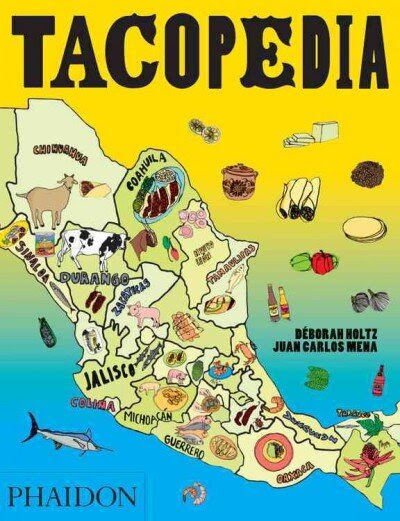 The ultimate reference on taco culture, Tacopedia is a deep dive into the varying taco traditions of Mexico's diverse regions. Illustrated with 250 photographs, and accompanied by interviews, stories, illustrations, graphics, maps and more that bring the vibrancy of the taco, and its homeland, to life. 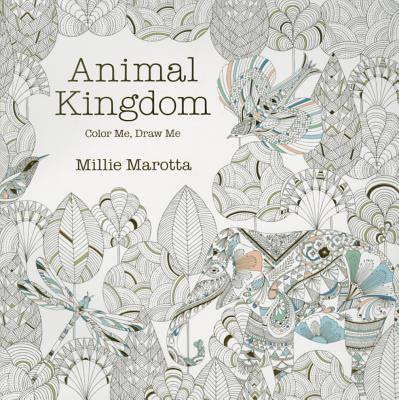 Marotta's adult coloring books, always filled with intricate patterning and detail, invite adults and older children to add their personal touch to each stunning drawing. Enter her captivating animal kingdom, featuring everything from beautiful birds to fantastic fish, delicate dragonflies to elaborately decorated elephants. Give a rooster plumage, adorn a tortoise's shell, create a backdrop for a ram, and more inspiring creative fun. 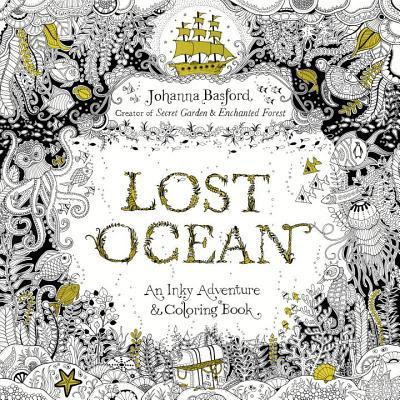 The high-quality paper makes it perfect for color pencils. 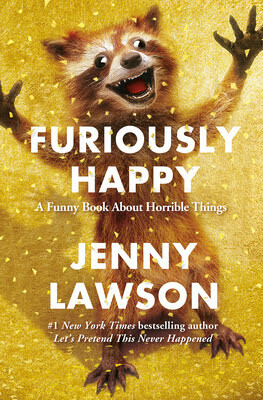 Furiously Happy is about taking those moments when things are fine and making them amazing, because those moments are what make us who we are, and they're the same moments we take into battle with us when our brains declare war on our very existence. It's the difference between "surviving life" and "living life." It's the difference between "taking a shower" and "teaching your monkey butler how to shampoo your hair." It's the difference between being "sane" and being "furiously happy." 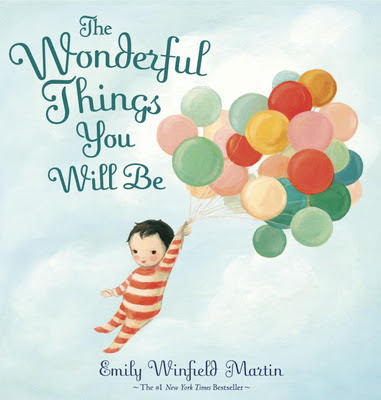 This is a book about embracing everything that makes us who we are--the beautiful and the flawed--and then using it to find joy in fantastic and outrageous ways. Because as Jenny's mom says, "Maybe 'crazy' isn't so bad after all." Sometimes crazy is just right. 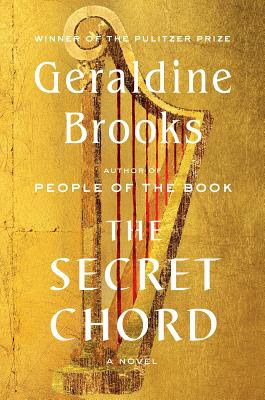 In her new novel, Brooks takes on one of literature's richest and most enigmatic figures: a man who shimmers between history and legend. Peeling away the myth to bring David to life in Second Iron Age Israel, Brooks traces the arc of his journey from obscurity to fame, from shepherd to soldier, from hero to traitor, from beloved king to murderous despot and into his remorseful and diminished dotage. Brooks has an uncanny ability to hear and transform characters from history, and this beautifully written, unvarnished saga of faith, desire, family, ambition, betrayal, and power will enthrall her many fans. 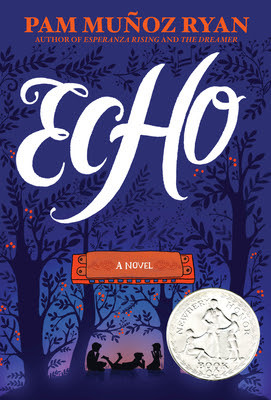 Lost and alone in a forbidden forest, Otto meets three mysterious sisters and suddenly finds himself entwined in a puzzling quest involving a prophecy, a promise, and a harmonica. Decades later, Friedrich in Germany, Mike in Pennsylvania, and Ivy in California each, in turn, become interwoven when the very same harmonica lands in their lives. All the children face daunting challenges: rescuing a father, protecting a brother, holding a family together. And ultimately, pulled by the invisible thread of destiny, their suspenseful solo stories converge in an orchestral crescendo. The result is an impassioned, uplifting, and virtuosic tour de force that will resound in your heart long after the last note has been struck. The journey begins on a ship at sea in 1766, with a boy named Billy Marvel. After surviving a shipwreck, he finds work in a London theatre. There, his family flourishes for generations as brilliant actors until 1900, when young Leontes Marvel is banished from the stage. Nearly a century later, Joseph Jervis runs away from school and seeks refuge with an uncle in London. Albert Nightingale's strange, beautiful house, with its mysterious portraits and ghostly presences, captivates Joseph and leads him on a search for clues about the house, his family, and the past. 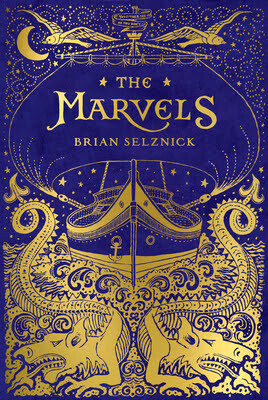 A gripping adventure and an intriguing invitation to decipher how the two narratives connect, The Marvels is a loving tribute to the power of story from an artist at the vanguard of creative innovation. From the author/illustrator of Dream Animals, comes a new book that celebrates the dreams, acceptance, and love that parents have for their children, now and forever. From brave and bold to creative and clever, the rhythmic rhyme expresses all the loving things that parents think of when they look at their children. With beautiful, and sometimes humorous, illustrations, and a clever gatefold with kids in costumes, this is a book grown-ups will love reading over and over to kids both young and old. Max is a fearless kitten. Max is a brave kitten. Max is a kitten who chases mice. There's only one problem: Max doesn't know what a mouse looks like. 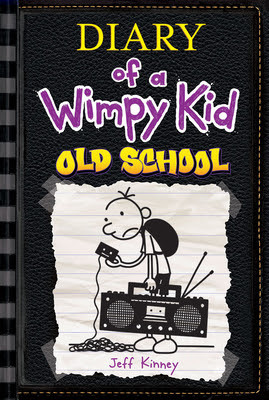 With a little bit of bad advice, Max finds himself facing a much bigger challenge. 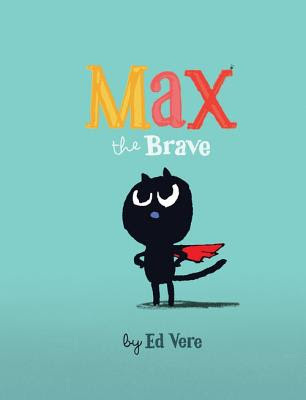 Maybe Max doesn't have to be Max the Brave all the time. Join this adventurous black cat as he very politely asks a variety of animals for help in finding a mouse. Young readers will delight in Max's mistakes, while adults will love the subtle, tongue-in-cheek humor of this new children's classic. 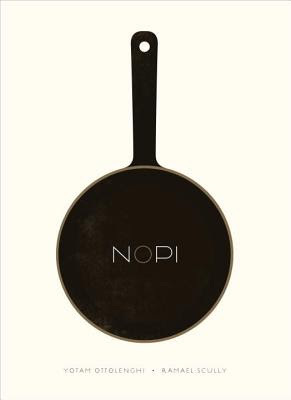 This cookbook includes over 100 of the most popular dishes from Yotam's Soho-based restaurant, NOPI. It's written with long-time collaborator and NOPI head chef Ramael Scully, who brings his distinctive Asian twist to the Ottolenghi kitchen. Yotam and Scully's pantries come together so that sumac meets star anise, miso meets molasses and pandan meets pomegranate. The resulting dishes shine brightly. From simple starters--the burrata with blood orange, coriander seeds and lavender oil--to more involved main courses and puddings, there is something here for every meal and every occasion. Whether you're looking for a quick brunch or an impressive and complete restaurant-style dinner party, this book is another gem to add to your Ottolenghi collection. 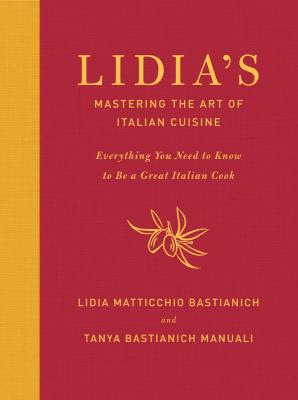 Teaching has always been Lidia's passion, and in this magnificent book she gives us the full benefit of that passion and of her deep, comprehensive understanding of what it takes to create delicious Italian meals. With this book, readers will learn all the techniques needed to master Italian cooking. Lidia introduces us to the full range of standard ingredients--meats and fish, vegetables and fruits, grains, spices and condiments--and how to buy, store, clean, and cook with them. The 400 recipes run the full gamut from classics like Risotto Alla Milanese and Tagliatelle with Mushroom Sauce to Lidia's always-satisfying originals like Bread and Prune Gnocchi and Beet Ravioli in Poppy Seed Sauce. There is no other book like this; it is the one book on Italian cuisine that every cook will need. 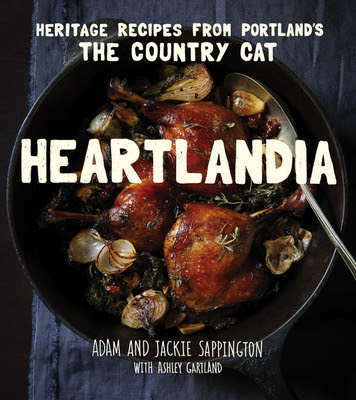 Heartlandia is based on husband-and-wife team Adam and Jackie Sappington's acclaimed Portland restaurant, The Country Cat Dinner House & Bar. They make food that is the definition of soulful, heartwarming comfort food. Some of the mouthwatering dishes include Autumn Squash Soup with Apple Cider and Brown Butter, Red Wine-Braised Beef with Wild Mushroom Steak Sauce, and Crispy Fried Oysters with Smoky Bacon and Green Apple Ragout. The sweets are just as enticing, such as the Challah French Toast with Maker's Mark Custard and Clabber Cream, Butterscotch Pudding, and Bourbon Peach Crumble Pie. Additional chapters include one for drinks and another for pickles and preserves. The cookbook also has beautiful photographs that capture not only the amazing food but also the spirit of the restaurant and the heartland. These days, fewer people than ever are cooking meals at home. Convincing ourselves that we don't have time to cook, we've forgotten how fast, simple, and satisfying it can be to prepare delicious meals in our own kitchens. 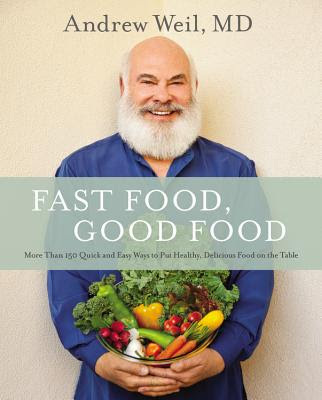 In Fast Food, Good Food, Weil reminds us, with more than 150 easy-to-prepare recipes for delectable dishes that are irresistibly tasty and good for you. These recipes showcase fresh, high-quality ingredients and hearty flavors, like Buffalo Mozzarella Bruschetta, Five-Spice Winter Squash Soup, Pan-Seared Halibut with Green Harissa, Coconut Lemon Bars, and Pomegranate Margaritas. With guidance on following an anti-inflammatory diet and gorgeous photographs, this book will inspire the inner nutritionist and chef in every reader.